Everyone expects the 10th anniversary edition of the iPhone to be something incredibly special, and why not? Ten years on a product line is a significant milestone, so expecting Apple to do something big with its flagship smartphone is understandable. Of course, with expectation comes speculation and with speculation come rumors. It is a typical rumor/release cycle, only this year the hype train is running at full speed with all kinds of conjecture regarding radical redesigns. From a fingerprint sensor embedded in the screen to a redesigned dual-lens camera, the rumor mill has run the gamut. With the iPhone’s 10th birthday just days away, it seems that several of the rumors appear to be "confirmed." Accessory retailer MobileFun is already selling "iPhone 8" cases. So far it has 10 different enclosures in four categories for sale from case maker Olixar. 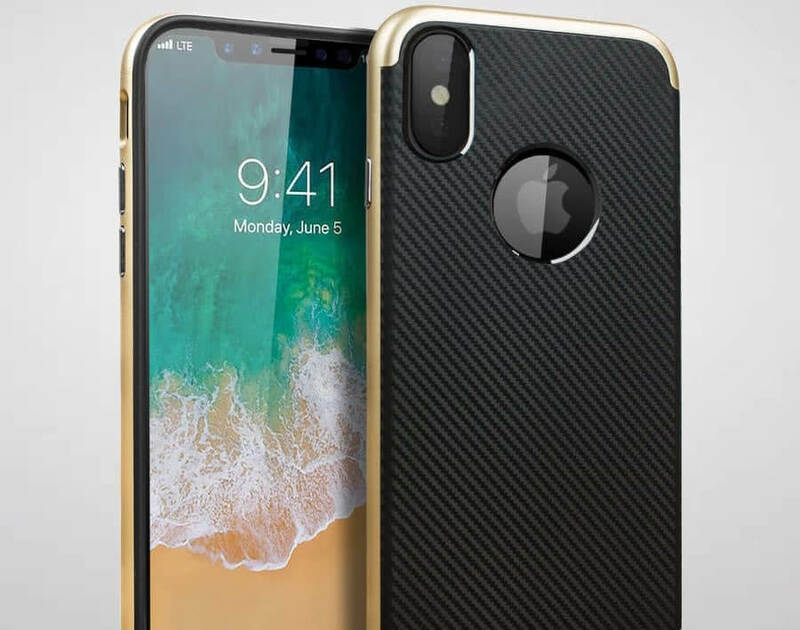 Who knows who will buy a case for a phone that doesn't yet exist, but the design of the phone protectors are consistent with one another and indicate that the upcoming iPhone will indeed have a fundamentally different design. The most notable change is the opening for the rear-facing camera. Instead of being a horizontal oval, like the iPhone 7, the opening is vertical (above) indicating a vertical lens orientation. On the front, there is no cutout or accommodation for a Home button. This may indicate that Apple has figured out how to integrate the fingerprint sensor into the screen, something that reportedly Samsung intended with the Galaxy S8 but didn't have enough time to thoroughly test. No opening for a sensor on the rear (on some of the cases) reinforces this notion. There is also a cutout area at the top of the display for the front-facing camera, sensors, and phone speaker as shown below. The widespread rumor regarding screen size is that the iPhone 8 will have a 5.8-inch edge-to-edge display. The screen covers on the cases do appear to go edge-to-edge, but MobileFun doesn't list dimensions. However, Forbes was contacted by the retailer and was told that the display area does, in fact, accommodate a 5.8-inch screen. The retailer also said the bottom of the cases doesn't have space for a 3.5mm headphone jack (not that we expected Apple to bring it back), but there is space for two speaker grilles and a Lightning port, instead of USB-C.
As expected, Apple won't confirm any of this and we won't know for sure until September, at the company's annual iPhone event.